One of the rare men to be still around after having taken their first tentative steps in international cricket in the 1990s. Another rare fact is that he has batted at every position between 1 and 10 in the line up in ODIs. A batting all-rounder, he is one of the most versatile to have graced the game, with the ability to play in many roles and gears. 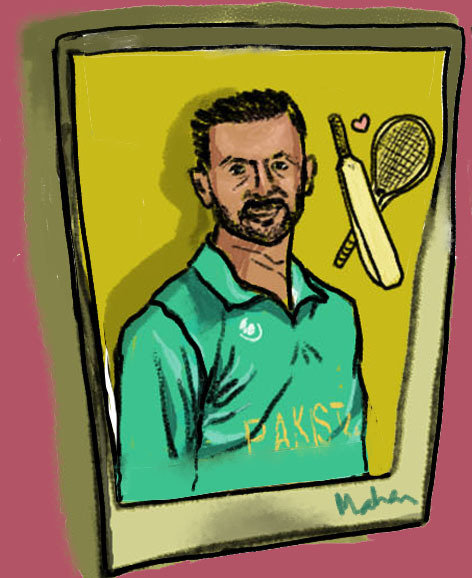 Shoaib Malik also led the Pakistan side in 2007 after the mysterious death of Bob Woolmer. And due to several quirks of fate and folly, he found himself at the helm again in 2019. It has been a long, curious career. In between a cross-border cross-discipline match made him part of one of the most accomplished sporting marriages. But, Shoaib Malik is much more than the husband of Sania Mirza. He is a phenomenon in his own right.